Cape Henry’s Brandon Russell has earned what is often listed as one of the toughest IT security certifications, and the only hands-on, performance-based practitioner certification at the advanced skill level of cybersecurity: the CompTIA Advanced Security Practitioner (CASP) certification. 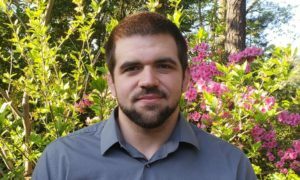 Brandon serves on the Cape Henry team as a Software Engineer and will use the skills he has developed earning this certification to navigate the implementation of cybersecurity-related solutions and policies for Cape Henry Associates. “We are so proud of Brandon and appreciate his efforts to add value to the company by obtaining this extremely important certification,” said John Jackson, Cape Henry Associates CEO.